Did you like the Girl With the Dragon Tattoo books or the Kurt Wallander series? Well, here’s a great tip from my good friend Chris: Read all of the Department Q novels you can get your hands on. Chris told me that they are riveting mysteries and the characters are “just so well-developed.” I took her advice and checked out the first in the series and my husband and I have been hooked ever since. Department Q is a series of crime thriller novels by Danish novelist Jussi Adler-Olsen. The series follows Carl Morck, one of the best homicide detectives in Copenhagen who has been ‘promoted’ to head the cold case department. This series originally began in Danish with Kvinden i buret in 2007. 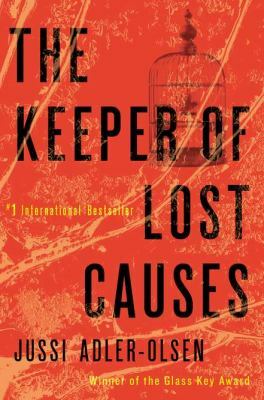 In 2011, it was translated into English and published in the UK as Mercy and in the USA as The Keeper of Lost Causes. Olsen is Denmark’s #1 crime writer and this book, the first in the series, makes it quite evident why. His writing style flows smoothly, keeping the pace of the story moving along while providing back story and strong characterization. His main character, Carl, is an acerbic and difficult man but a brilliant detective. He has just returned to work after an attack at a crime scene that left one of his colleagues dead and another paralyzed – Carl was hit in the head by a bullet and has been out for several months. Upon his return, he has set himself to do as little as possible; all interest in his career is gone. So Carl’s boss puts him in charge of Department Q, which is designed to look into long-cold cases. The first case Carl starts with is the disappearance of Merete Lynggaard, a politician who disappeared five years ago from a ferry on the way to Germany. It was believed that she fell overboard – either deliberately on her part, or by accident – and the case was left unsolved. Carl starts digging into it and finds many things left unchecked; maybe she’s still alive. The story is lightened by Carl’s assistant Hafez el-Assad, called Assad. Assad is both comic relief and a very intriguing character. He demonstrates great insight into detective work and has amazing contacts and capabilities which generates interest about his mysterious past. Carl and Assad make a great team, their opposing characters bounce off each other as each gains greater respect for the other. This fabulous book has everything one could want in a thriller: twists and turns and fantastic descriptions of the victim’s suffering. The point of view alternates between the present, with Carl investigating the disappearance and with the past, as we watch (and cheer for and worry about) the victim as she waits for her death or for Carl to finally rescue her. Forced into early retirement at the age of 59, recently widowed and quietly missing his wife Sonja, Ove finds that his highly structured world is becoming devoid of meaning. A man for whom the concept of things being either black or white (Ove drives a Saab and anyone driving a BMW is not to be trusted) comes naturally, he quickly arrives at a decision that would solve the problem his new living situation presents. The only thing he does not take into account is the ongoing disruption of his plans in the form of his new next door neighbor, a whirlwind called Parvaneh and her family. In between numerous disturbances to Ove’s little universe, we keep getting glimpses not only into what hides behind his grumpiness, but also into his past and the events that shaped both his life and him as a person. This is a book similar to The Unlikely Pilgrimage of Harold Fry. Try it. Come on down to the library and check out these books for your own mini-vacation to Scandinavia. Farvel! 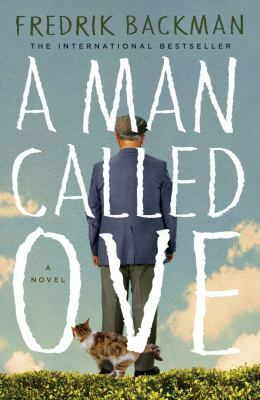 This entry was posted in Book Review, Fiction, Mystery, Mystery & Crime and tagged book reviews, Fiction, Mystery & Crime by Leslie. Bookmark the permalink.